System Requirements : Pentium PC with CD Drive running Microsoft Internet Explorer v5.0 or newer. 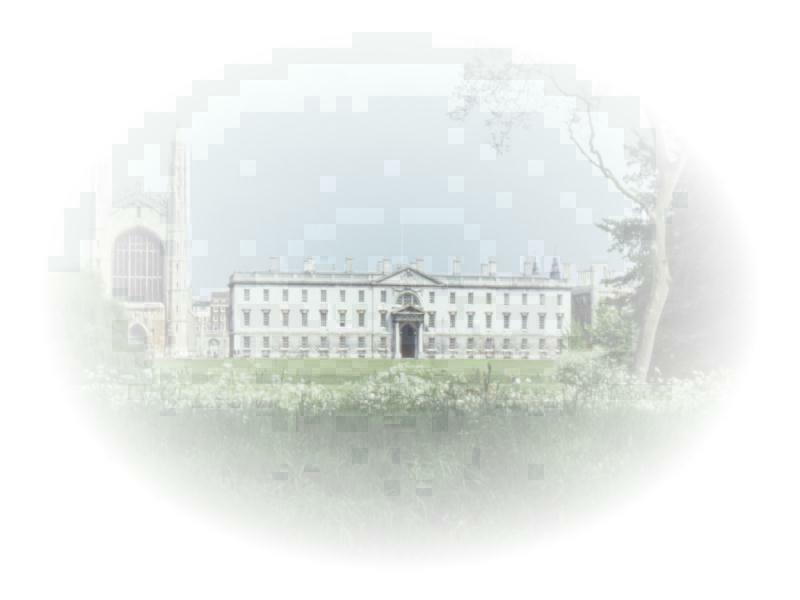 Note: The Cambridge Explorer web-site and CD-ROMs are written using VML (Vector Mark-up Language). VML is part of a submission for recommendation to the World Wide Web Consortium. At present only Microsoft Internet Explorer v5 or newer caters for this facility. Current versions of Netscape Navigator do not. Other browsers have not been tested. VML reduces graphic file sizes and speeds up graphic file download times. If you are unable to read the web-pages on the rest of this web-site, you will not be able to read the CD-ROMs either. Background photograph : Kings College Chapel & Gibbs Building taken from Kings Piece.